As more and more people choose to escape on holiday within the beautiful scenery of the UK, motorhome holidays are becoming increasingly popular. If you’ve never holidayed in a motorhome before, we understand that the concept may be a little daunting – but don’t worry! As lovers of all things motorhome, we provide quality and affordable motorhome hire in Scotland, and have put together this short guide of tips and tricks to making sure your first motorhome holiday goes smoothly and hassle-free! Enjoy. Motorhomes are the ideal option if you like to add a little adventure to your holiday. They offer comfort wherever you are in the world, and allow you to visit any place you like along your route. That way, you’ll get the most out of the time you have and be able to tailor the perfect trip to suit you and your loved ones. Motorhomes don’t have large storage options, so be sure to pack lightly otherwise you won’t have much space to live in! The key to keeping the fridge well-stocked is to keep enough food on board to last a couple of days, and then re-stock. And for the children – consider smaller toys rather than large pieces, and try to opt for fold-away furniture if possible! This may seem like an obvious thing to do, but you would be surprised how many people have hit the open road without planning where they are going in advance. Planning and researching potential destinations all adds to the excitement, and if you are heading on holiday in peak season – be sure to book pitches and campsites way before your arrival date! After all, you really don’t want the hassle of searching for a pitch late at night with a car full of bored and tired children/passengers. If you’re the organised-type, you’ll already have one of these handy tools packed. But if not – be sure to pack a torch and lots of spare batteries! You never know when a torch will come in handy. Whilst motorhome holidays are all about exploring the great outdoors, there will inevitably be those times when you need to entertain yourself or the children. Pack plenty of board games, portable DVD players, laptops, iPods and travel toys to keep everyone entertained during those rainy days or long drives. If you’ve never driven a motorhome before, why not take a lesson or try to get yourself familiar with the vehicle before you set off on your holiday? Although motorhomes are relatively easy to drive with a bit of practice – you must remember that they are much heavier than your average car. So, slow down earlier and always be extra careful when taking corners. To save fuel, make sure you don’t over-fill your water tank. 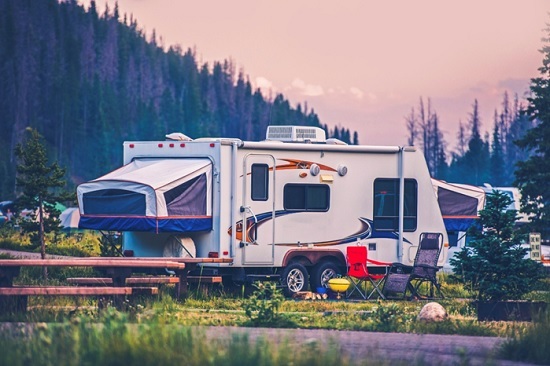 When you arrive and pitch-up at a campsite, try to use the site’s facilities whenever possible, and always hook up any appliances such as the fridge to the mains. This will help to keep your motorhome clean. After all, nobody wants to clean on holiday, do they? Our final tip is to enjoy yourselves! Whatever your holiday style, make sure you do everything you wish to, and visit all the places you want to. The great outdoors offers plenty of adventure, so be sure to get out and about and take full advantage of your new home on the road. For more information, or to speak to one of our friendly and helpful team – please do not hesitate to contact us on 01224 723 330 today!